According to Marcin Inwinski, co-founder of CD Projekt RED, game companies "know DRM doesn't work." CD Projekt RED doesn't believe in DRM and, while this stance is one that the company itself admits to have been a gradual development, it nonetheless often takes center stage whenever the Polish game developer is discussed. Recently taking the reins in a bit of that conversation, studio co-founder Marcin Iwinski talked about DRM, the company's take on it, and why so many entities in the game industry seem to insist on its continued existence when all signs point to it not working. "The industry as a whole knows DRM doesn't work, but corporations still use it as a smokescreen," he said. "[They're] effectively covering their asses, pretending to protect their intellectual property in front of bosses, investors, and shareholders." According to Iwinski, he has had "quite a few discussions with high level executives who admit they know DRM doesn't work." That said, these individuals are often under intense pressure from outside forces to keep their property safe and, while DRM may not be effective against software pirates, it apparently works well against stockholders. According to Iwinski, the persistence of this faÃ§ade is damaging to consumers. "Whenever policy trumps common sense, the best interest of gamers is lost in the process." According to Iwinski, the best way to combat piracy is to make the legal method of buying games more convenient. "People will continue to choose the easier way as long as obstacles such as time-consuming registration and invasive authentication measures remain in place," he said. 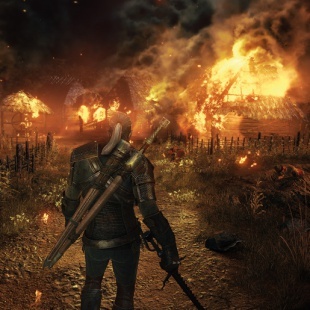 Practicing what he preaches, Iwinski affirmed that The Witcher 3, the studio's next entry in its popular RPG series, will be DRM-free. "While we can't stop piracy, we can work on offering premium deals to those who buy our game and that's what we plan to do with [The Witcher 3]. He then added, "I strongly believe in using the carrot not the stick." CD Projekt RED, in turn, is "working to create some impressive carrots."